Bison is a superb alternative to industry produced meat from domestic livestock. Nutritionally, you get more protein and nutrients with fewer calories and less fat. 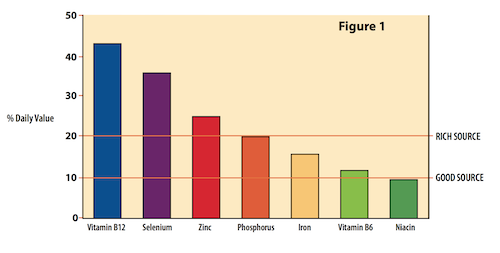 Many of the essential vitamins are covered including vitamin E, B5, B6, B12, riboflavin, niacin and folate. Bison is also rich in CLA (conjugated linoleum acid) an omega 6 poly unsaturated fatty acid (good fat). Fewer calories and less cholesterol than chicken or fish. 76% less fat than beef and 68% less fat than chicken, so you get more edible meat for your money. 35% more protein than beef so you can eat 1/3 less and still come away satisfied. Eating 5 oz. of buffalo, 3-4 times per week can help most people reduce LDL cholestrol 40-50% over a 6 month period.